IMPORTANT: It is not currently possible to add a Tahoe admin user if that user already has an account on your site. You must create Tahoe Admins via the steps below. Adding Tahoe admin users is different that adding an instructor to your courses, or enrolling learners, or even adding course staff. Tahoe admin users have full access to your Management Console, which allows them to change the look and feel of your site and edit content just like you. 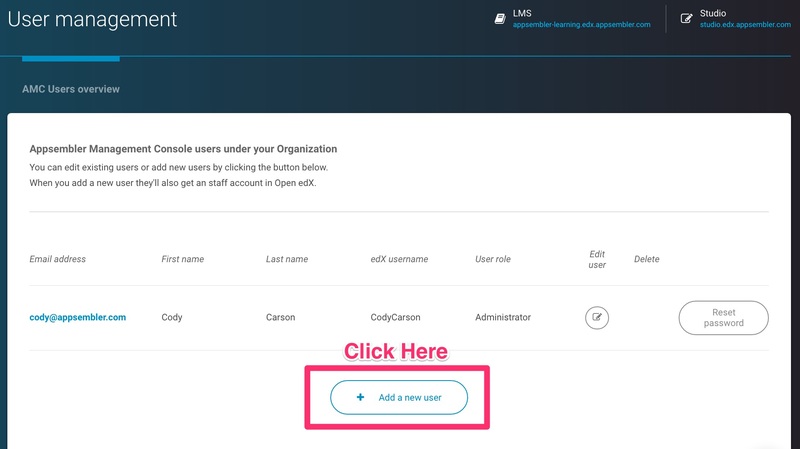 When you add a Tahoe admin user, however, that new user will also be given a Staff account in Open edX. Add the relevant user information, then click Invite User. That's it! 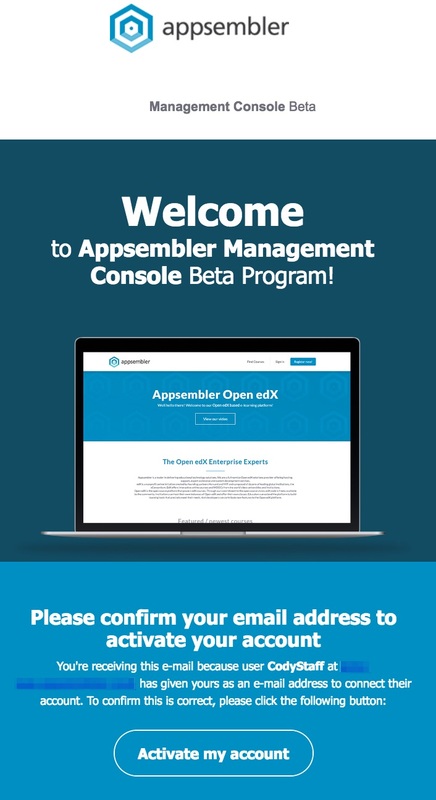 The new user will receive an email like the one below. After they click Activate, they will set their password, and then you're all set!